A few days ago, I discovered an article written by someone in the blind community criticizing a new feature that has been implemented in iOS 11. In iOS 11, Apple has implemented a new feature dealing with the way VoiceOver manages the Actions Rotor in the Mail App. If you are familiar with the way the App switcher worked in iOS 10, you’ll recognize this behavior. Now, if you delete one message or perform any other action on it, that action will stay selected until you manually change it. This is a big change in behavior from before, when the action would return to the default setting after performing an action on a message. The blind community has become very divided and upset over this feature. 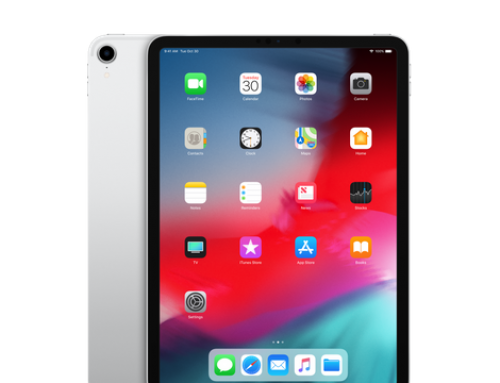 Claims have been made that this is inconsistent with typical rotor behavior, that it is half-baked, that it’s a step backward in accessibility, and that it sets a dangerous standard for Apple to model. The reality is this: this new feature is a change. It is a deviation from the typical behavior that we have seen in the rotor for years. Unfortunately, it seems that members of the blind community find it difficult to deal with these changes and retrain their brains. This is a big part of being successful in the world: we must have the capability to adapt and problem solve. Things will not always remain the same. 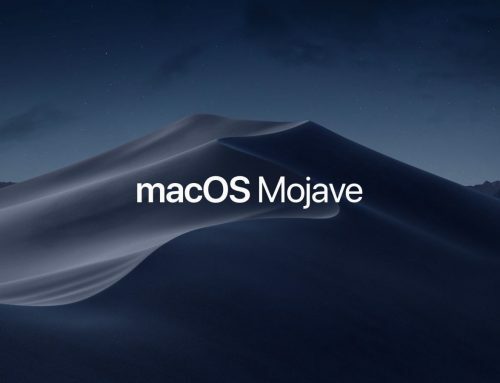 We cannot expect Apple to hold back on a potentially game-changing feature just so that its user base does not have to deal with a new environment. The feature is a huge productivity boost for those of us who delete a bunch of emails at once, receiving hundreds of messages a day from mailing lists. It’s faster than selecting the edit button then selecting the messages to delete. The feature is buggy, yes, but it will continue to improve, that is, if we don’t stop it in its tracks from our constant complaints. Yes, people struggle with the rotor. Yes, older people may have difficulty, but if we are going to train someone in using technology, it’s less about training them in how to do something than it is training them how to solve problems that come up. No one can plan for every single situation that arises. No one can teach for every single possible quirk, crash, or inconsistency in an operating system. Apple’s operating system has never been aimed at the older age group specifically, so comments that I have seen about this feature being detrimental to older blind folks is ridiculous. We, as blind people, have a hard enough time getting mainstream developers to listen to us and make their products accessible without complaining that advances they’re trying to make in our productivity are bad things. Let’s learn to adapt and remember that sighted people have to deal with these changes, too. With each new OS release comes new features, new ways of doing things, and, in some cases, new bugs, for all people, not just the disabled. It’s not just us who have to learn. If we insist that things remain the same, how can we expect companies to develop new and innovative technology for us? How can we expect anything to get any better without a little brain retraining every now and again? I’m sorry but this is absolutely wrong. First, the behavior in Mail is totally inconsistent with how the rotor behaves in other apps. In other apps, the rotor action is always set to “activate” when moving to a new item. Therefore, it is unreasonable for you to expect VoiceOver users to grow accustomed to it in nearly all apps but to change their way of thinking with just one app. Furthermore, the behavior is not even consistent within the Mail app itself, which clearly demonstrates to me that this new behavior is not a deliberate change but is instead a bug which needs to be corrected. At times, the rotor action does stay on “delete” after a message has been deleted but it also tends to revert back to “activate” if you move several messages away. Do you seriously expect me to accept such inconsistent behavior in an app which I use daily, where I may or may not unintentionally delete a message due to the erratic behavior of the rotor? What if a similar situation occurred with a JAWS update? Suppose that JAWS released a new update where pressing the enter key on a message in Outlook would sometimes delete the message but, depending on which message had focus, pressing enter would sometimes open it. Would you appreciate it if I told you that the problem wasn’t with your screen reader but with you and that you just needed to adjust your way of thinking and get used to the change? You certainly would not. I’m frankly flabbergasted that there are those in the blindness community who choose to accept badly written code from Apple and, even more, have the audacity to point fingers at us who choose not to do so when you would never accept the same nonsense from your Windows screen reader. I will put this out there. The author of this article is a VoiceOver user but I am not. As I understand it, What you call a, “Bug” is actually a new feature. The question I think more is that if the feature has buggy code as this behavior also works in the App Switcher as well as in Mail. What you need to keep in mind also is that there are sometimes visual UI changes that may change the way a device behaves that could cause a person to delete their messages on accident, so it isn’t the case that Apple and other OS makers are only picking on VoiceOver users here. I myself have been training the blind and visually impaired for over 7 years, and the most important thing I can’t stress enough is the ability to problem solve. In my professional opinion, I feel that this whole thing is people are used to training and learning a certain way. I have told my students for a long time that the only way to use technology in today’s environment is to become a better problem solver and to learn how to move with the changes bugs or not, because even if your tech has bugs, you still have to get work done. I think iOS 11.1 will make this behavior more predictable, and I hope that Apple continues to add this behavior to other apps where it is useful. Another thing to think about on this topic is this. What if Apple decided to completely do away with the Rotor in iOS 12. What would people do then? Embrace the new replacement, or stop using their iPhones because of the change. I think that it is the responsibility of the trainer to challenge their students in such a way that if this kind of thing happens then the students would have the problem solving ability to continue using their device. Personally, I think that once this new rotor behavior gets some polish, it’s actually a good thing. If you really want to have to flick to the “Delete” or “Archive” action, depending on your settings, you can touch the mailbox heading and quickly move your finger down to the message, repeating it for each message after you delete/archive them. Doing this doesn’t slow me down at all if I’m managing a lot of messages. I tend to drag my finger down the screen to place focus on my messages rather than flick anyway. I might also submit that change brings about innovation. Never changing brings about stagnation. What’s really frustrating is we take all of this for granted. What happens when that rotor is gone next year? Android doesn’t have it and they get along just fine. Every year, as blind people, it feels like we’re needing our hands held more and more rather than learning and thinking outside the box. It’s a sad development indeed.